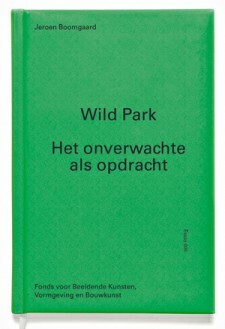 Wild Park is an essay that explores the varying quality of art in public space. An artwork is not only defined by form and iconography but also by the functions and meanings assigned to it beforehand. In understanding what art can mean for the public domain, Boomgaard goes in search of works that succeed in eluding the interestes and intetnions that encumber a location, and whose escape route describes and unexpected pattern in the air. The essay is now also available in English via mstuivenberg@fondsbkvb.nl or the bookshop. ISBN 978-90-76936-00-0 / €15,- (forwarding charges).